We love to start a new year with plenty of resolutions. This year will be my year… this year will be wonderful… this year, I will get everything I wish for. It’s fantastic to close a year and start a new one from scratch with nothing written and everything to decide. We usually have good intentions. We want to make changes in our lives so that we can improve them and achieve big goals. But, every time something happens, we soon become overwhelmed. This happens when we want to do everything at once. We want to make all of the changes in January. But because it’s too much to ask, we get swamped and we end up leaving everything to go back to our usual routines and habits. However, this year may be different. Let me explain. Make a list of the actions needed to achieve those goals. Divide each action into tasks. Work on each task one by one. As you finish one, mark it as completed and move on to the next. 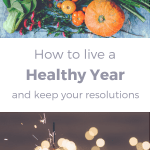 More specifically, let’s see how to achieve the goal of living a healthy year now. In this section, I am going to write in first person because I want you to feel 100% identified. These instructions are what I wish I would have had access to when I first started my journey to a healthy life. I’ll cook more and I’ll eliminate from my diet those foods that, in their list of ingredients, contain sugar, wheat flour or any other ingredient that are unfamiliar to me. I’ll use services, such as Thrive Market to help me choose the best healthy ingredients at a lower price. And if I sign up now I’ll get an extra 25% OFF your first order + a 30 day free trial membership. I’ll use apps such as Meal Plans to easily plan my weekly meals. I can organize everything alone by using a planner that I can print or modify from my computer or mobile phone. I’ll try to eat 3 to 5 servings of vegetables every day and 1 to 3 servings of fruits. I’ll decide what fruits and vegetables I’ll be eating and I’ll organize my grocery list to make sure to have them at home. I’ll use a tracker to confirm that I’m eating those amounts every day. 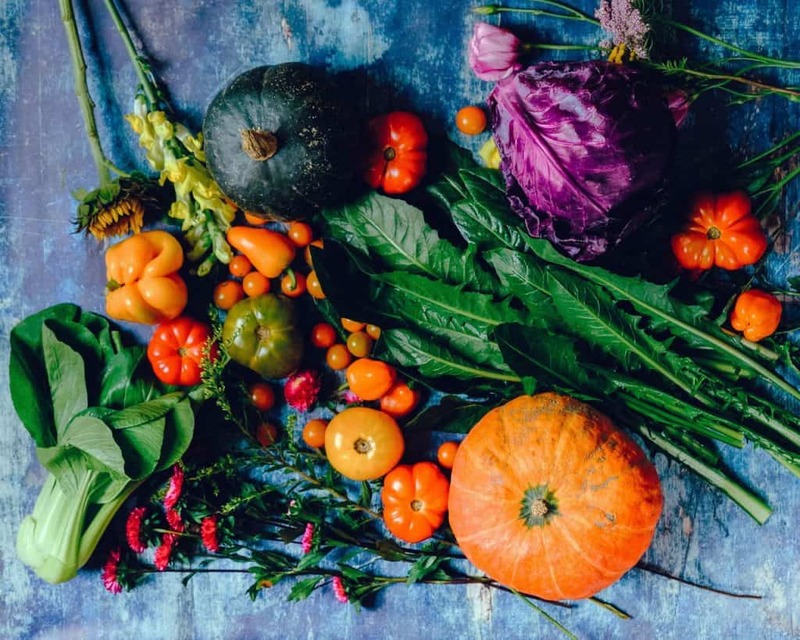 I’ll introduce foods into my diet that I don’t usually eat, starting with natural foods; for example, different types of fruits and vegetables, different kinds of cereal like black rice, buckwheat, quinoa, millet, or different types of legumes. I’ll use a planner to decide, ahead of time, what food I will buy each week. I’ll use a tracker to confirm the consumption of this new food. In case of emergency, I can use services like Urthbox or other services that deliver healthy, ready-to-be-eaten food at home. I’ll exercise 3 times a week for at least one hour. I can sign up for a gym, or I could work out at home for free by watching YouTube videos, such as Fitness Blender. I’ll walk more and use less motorized transportation. On my breaks during the day, instead of sitting in a cafeteria, I’ll walk while listening to something that will help me in my changes or repeting some positive affirmations. If I still don’t have the habit of meditating, or just taking ten minutes to relax, clearing my mind, I’ll slowly introduce it into my daily habits. I’ll choose a moment of the day in which I can take those ten minutes without disturbances. I’ll download a free tracker to monitor this new habit and write down the days on which I do it. If I want to deepen the subject of meditation, I can look for a course near home or start with one online. I can use a platform like Udemy so that I can choose the course that most attracts my attention. If I’m not interested in meditating, I’ll simply look for a place where I can sit comfortably and disconnect. I’ll use positive affirmations that will help me the most at this specific moment. I’ll use headphones to listen, and mentally repeat, those affirmations for only 10 minutes without thinking about anything else. For my mental and emotional health, I will do a course which has been on my list for a long time. This can be just a hobby, or something that can help me in my professional career. I can use Skillshare to get free access for two months to all courses and to choose the right one for me. N.B. I’m not going to do anything that I don’t really want to do. I will do all of these actions because I have chosen to live a healthier year. Nobody forces me to do anything. I’m the person in control and I want to achieve this change. Now that we had a look at the resolutions to live a healthier year, here is a list of small habits that you can introduce slowly to your daily routine. These will help to maintain your healthy lifestyle and achieve greater goals. 1. Drink a glass of water as soon as you wake up. 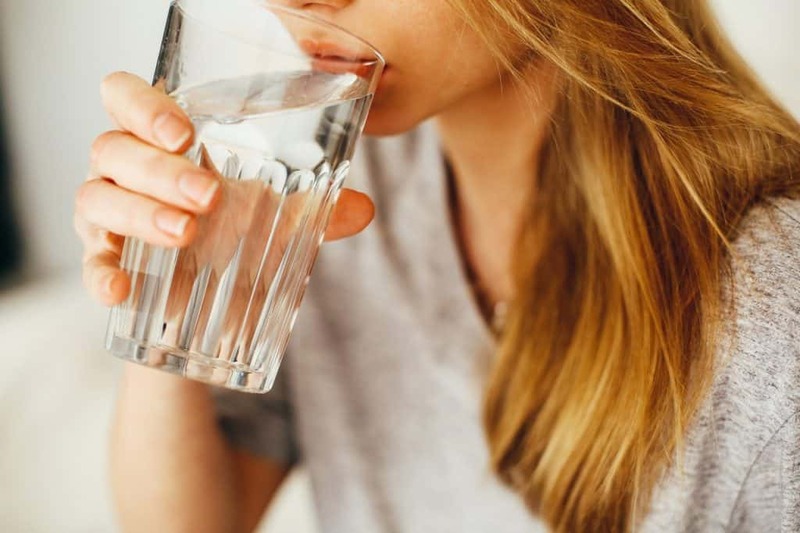 While we sleep, we spend many hours without eating or drinking anything, and consequently, our body needs to be hydrated as soon as possible. Personally, I like to think that this glass of water is like a shower that cleanses my digestive system after resting for a few hours. 2. Drink eight glasses of water or teas (without sugar) per day. It’s important to stay hydrated throughout the day. Keep in mind, though, that even though coffee, soft drinks and alcoholic beverages are liquid, they don’t count, unfortunately. 3. Sunbathe 15 minutes every day without sunscreen. The sun is the main source of vitamin D, and 15 minutes a day is enough to get the recommended daily amount. Remember that your skin has to be exposed and you are not supposed to wear sunscreen. For this reason, be sure to expose your skin before 11 a.m. or start two hours before sunset. Have enough of it, but also make sure that it is quality social life. Do something that you like, and that adds something to your life. Also, surround yourself with people that make you feel good. It seems silly, but it’s easy to spend the day without a good laugh. Just take notice if you feel the difference between the days that you have laughed and the days when there was mainly anger and complaining. Take a moment every night to think about the day that is concluding and be thankful for everything you were lucky to live. In my personal experience, what helped me the most to achieve my goals and introduce new habits into my life was to organize, plan and track. Decide what the most important thing is that you want to change and work on one or two changes at a time. What are the actions you have to do to get those changes? Once you have established what the actions are, it’s important that you track them to see if you are actually doing them. Here, if you want, you can download your first tracker, for free, to monitor the introduction of a new habit. You can print it or you can use it directly from your computer. 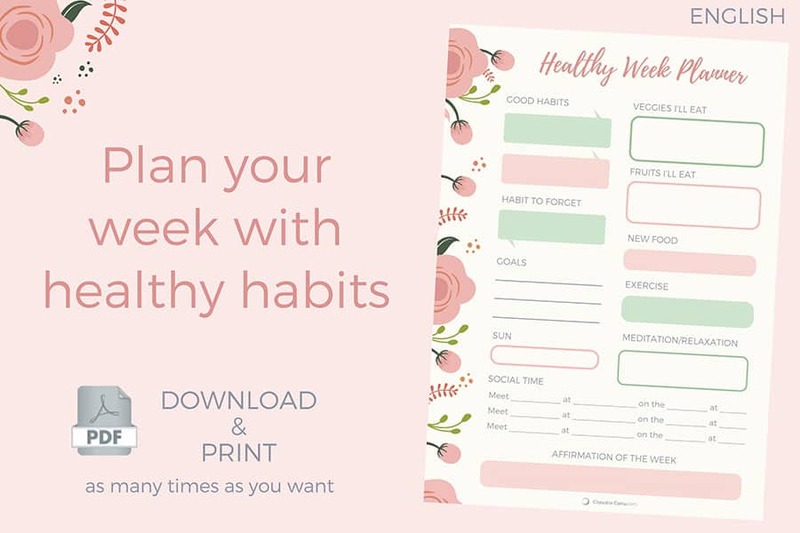 You could start monitoring your days separately for a week and, depending on the results, you can plan your weeks thinking about the habits you should be working on more. Find your optimal number of sleep hours so that you can spend your day with the maximum energy level. If you monitor your sleep hours, you can see how you feel at the end of the day according to the rest hours. For example, if you feel much better when you sleep eight hours, you’ll just need to get organized to be able to rest eight hours every day. Humans need physical contact with other humans, but in our current society, we are becoming more and more distant. Do you give and receive hugs every day? If you still have problems maintaining a healthy diet, track everything you eat and drink so that you can see how to change out some foods with healthier options. And if you already eat well, write it down to congratulate yourself for doing it well. The best way to close the day is to stop for a moment and really understand how you feel. What can you change to be able every night to go to bed happy? Remember that your life will not change if YOU don’t make changes. We both know that YOU have the power to make those changes possible. If you feel that you might benefit of some help, don’t hesitate to book a private session with me. Your turn: Do you have resolutions for this year? Have you already prepared your action plan? I would be very happy to read about you in the comments below. As always, I appreciate your stopping by my blog, and if you think this post might help someone you know to make another step to a healthier lifestyle, please don’t hesitate and share it away! A big hug and a Happy Healthy Life! 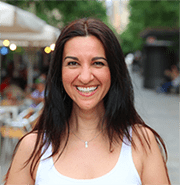 Claudia Canu is a former junk and sugar addict transformed into a Health Motivator with a master’s degree in Nutrition and Dietetics. She has created this website not only to share her “Journey to her Healthy Forties” but also to help other busy women with basic knowledge about nutrition and who don’t love cooking, to live a healthier life and achieve big goals. To get in contact with Claudia, visit the contact page. To read more about her, click here.